got sick of tryin to find a good avp theme on this site so i scooped a bunch of different stuff together off the internet. the window blind is jet black 2 by mgiff, icon pac is fauxs-xp (emerald) v1.5 by paul boyer, hope you guys like it! 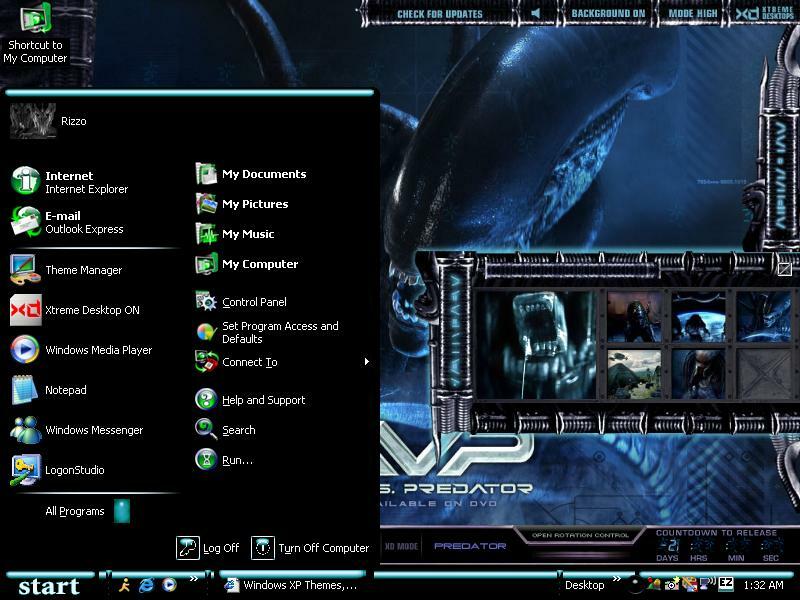 oh and the wallpaper is a flash player with active sounds and sliders with wallpaper selector and a bunch of other cool stuff you can get it at the avp website which is avp-movie.com its the xtreamdesktop link. and leave some comments if you want peace!